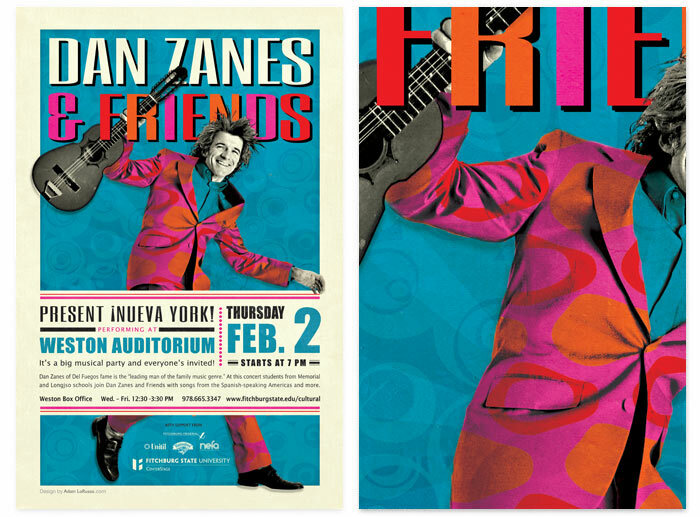 Concert poster produced for the Grammy-winning group Dan Zanes and Friends. I wanted to convey the spirit of Dan Zanes' fun-loving, upbeat and self-proclaimed "handmade 21st century all-ages social music". 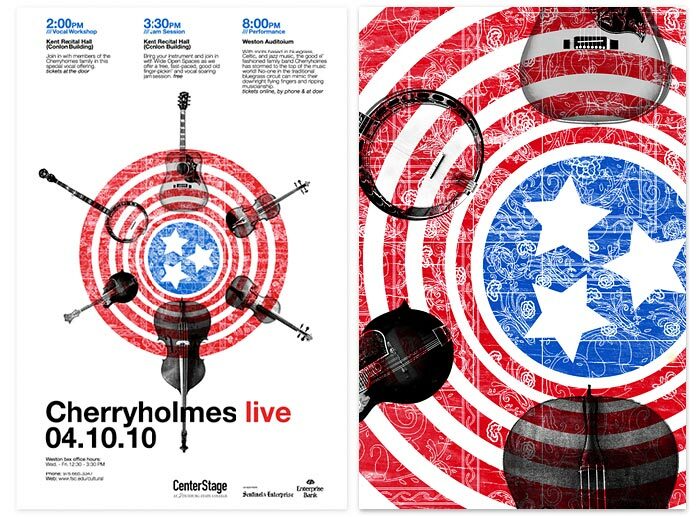 Informational poster created to promote a live performance and multiple workshops featuring award-winning bluegrass group Cherryholmes. The design incorporates a variation of their home state Tennessee's flag encircled by each of the band member's respective instruments. 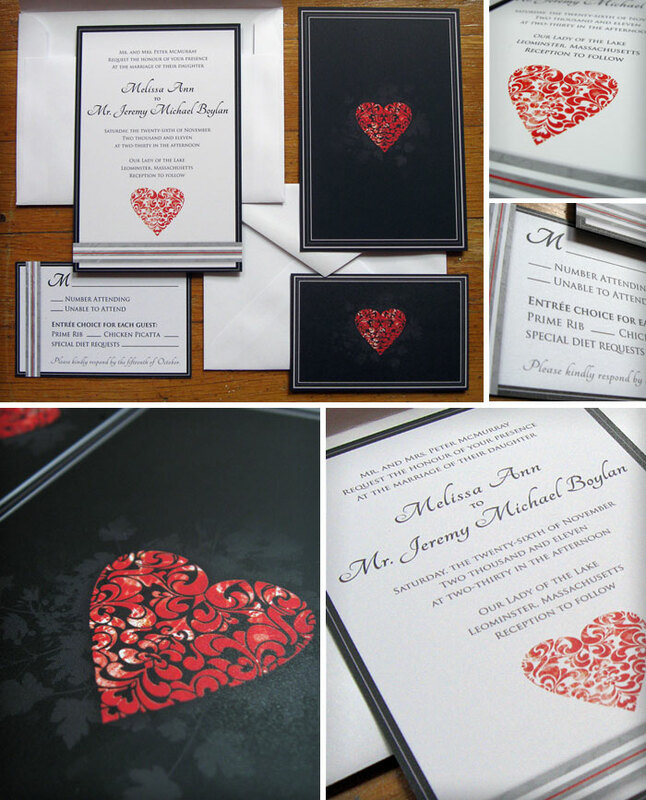 Wedding invitations designed for a private client's silver, red, and black wedding. 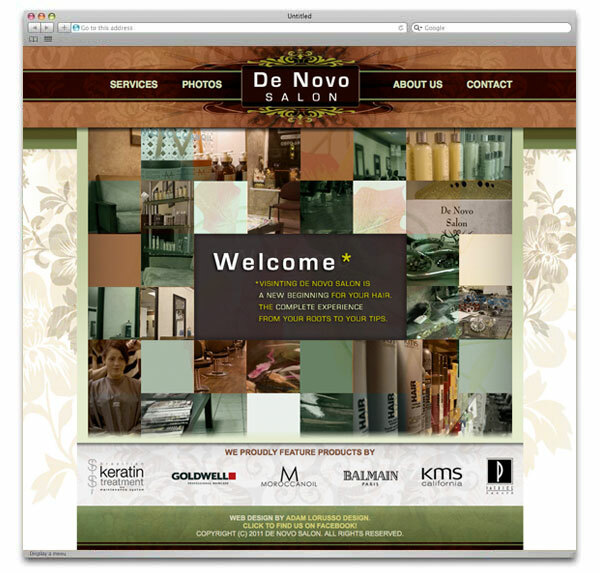 The design is clean and simple but utilizes subtle textures to add a sense of elegance and depth. Stark white envelopes were chosen to contrast with the black backside of the invitations. I believe strongly that a graphic designer should feel comfortable generating visuals with their hands and traditional media. 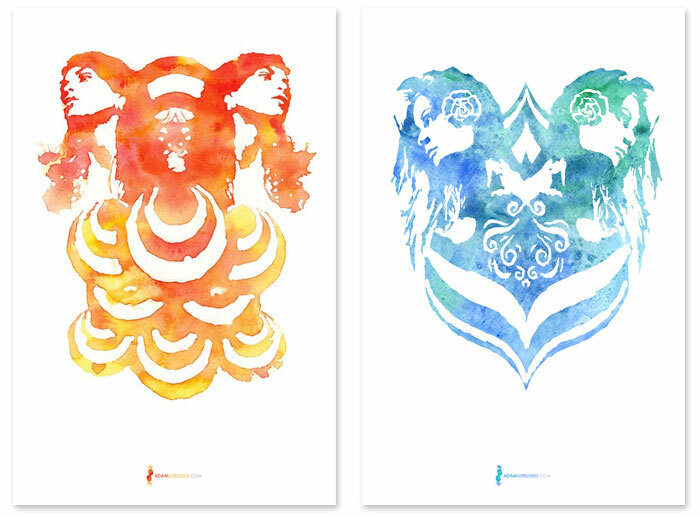 These prints are part of a series of visuals that was created using watercolors on 140lb paper. More from this series of work can be seen here on my Behance Page. 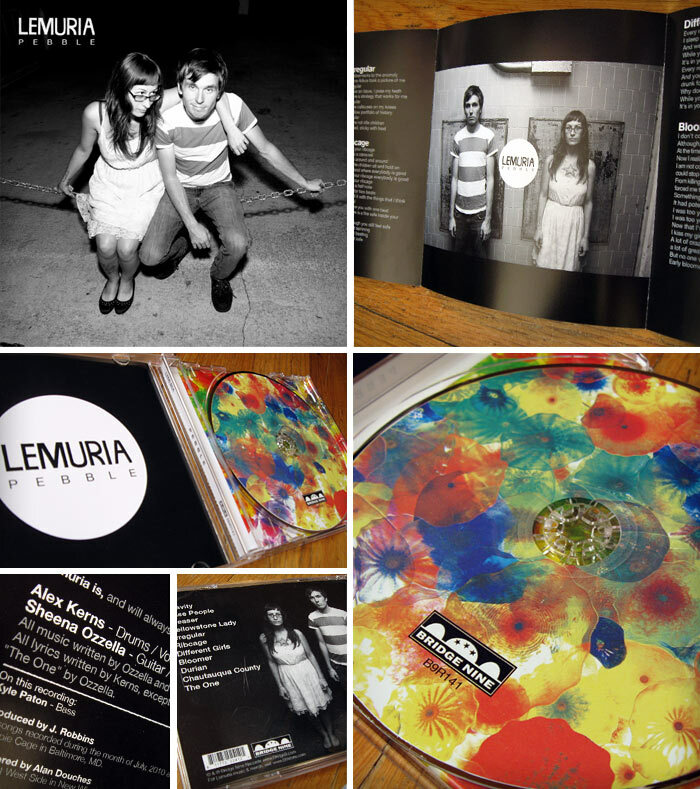 Package design for Pebble, the newest release from Buffalo, New York-based indie punk band Lemuria. The CD or LP can be purchased here. Community impact report for Celtral Links consortium of central Massachusetts higher education. 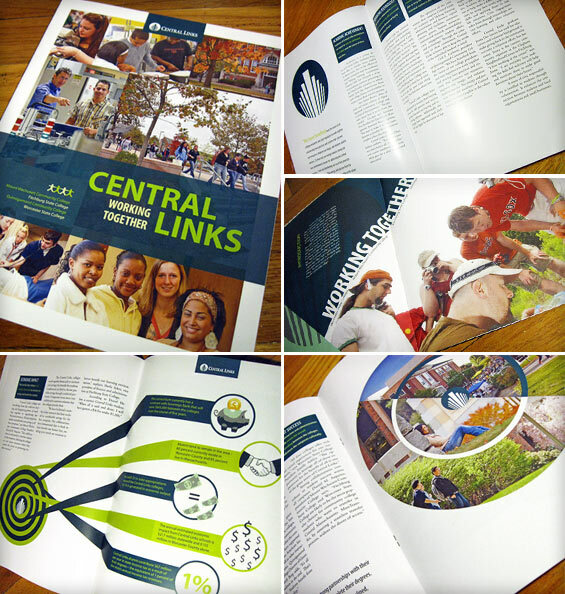 This 12-page brochure takes an innovative approach to presenting data in an effecient manner that is suitable for a broad audience including: prospective students, parents, faculty, and state legislators, all while remaining visually appealing. 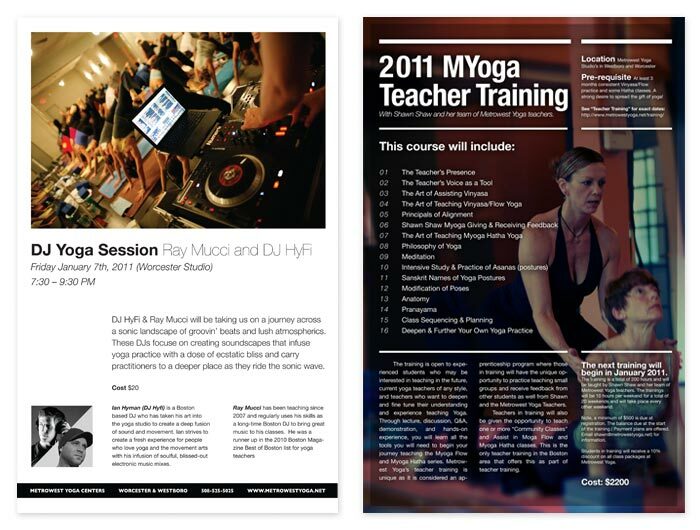 Metrowest Yoga Studio located in both Westboro and Worcester contacted me about creating multiple posters to publicize special events and clinics held at their studios. Posters for two of the events can be seen here. Visions is a juried selection of student work from the Communication Media Department at Fitchburg State College. 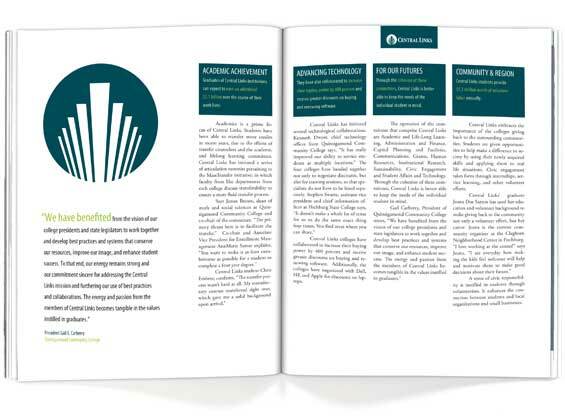 The brochure utilized Penrose triangles to represent the multiple innovative approaches that can be taken by student towards creative problem solving. 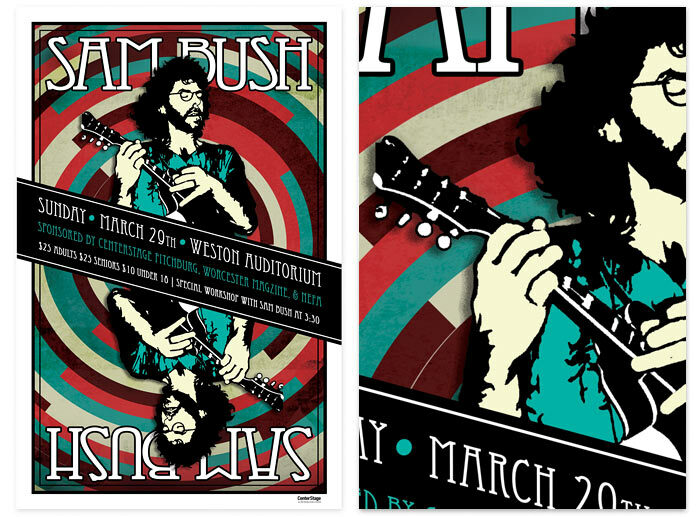 Gig poster for bluegrass legend Sam Bush. When CenterStage requested a poster for this event I thought it would be a great opportunity to mix some of my hand drawn illustrations into my design work. 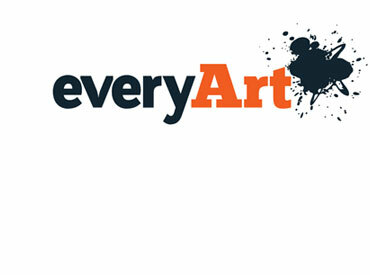 EveryArt is an online company that connects people with artists to commission original pieces of artwork. They believe that commissioning is an amazing and intimate way to experience art. Their logo strikes a balance between contemporary professional and artistic exploration. Boston STD Clinic is a service provided by Boston Medical Center. They requested a logo design that was representative of Boston while conveying a clean bill of health in an approachable manner. Rhode Island based photographer Cate Brown requested a logo for her freelance business. The logo conveys the feeling of a shutter closing to take a picture and was developed without any computer aid to also create an organic representation of her oceanscapes and nature photography. 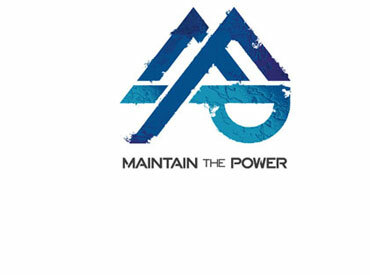 Maintain the Power is a clothing brand dedicated to mainting artist's vision. When collaborating to create work for their clothing collections, MTP puts the artists and illustrators first and lets them be the guiding light in the design process. 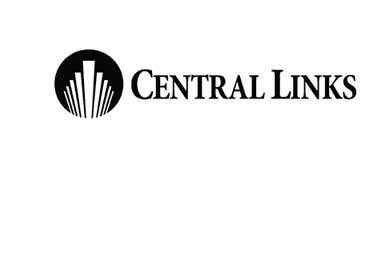 Logo developed for Central Links, a consortium of the four public Central Massachusetts colleges that use best practices to enhance visibility and the image of the colleges. The logo expresses a feeling of unity and working together towards forward progress. 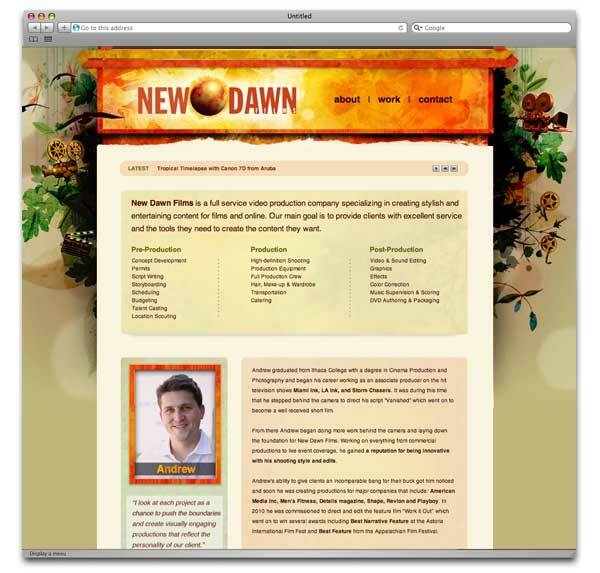 Flawless Filtration is a start-up company based in the South Shore of Boston. Their primary service offered is the installation of large water filtration units that provide homes with pure water in every outlet from the kitchen sink to the shower. Adam is currently available for commissions and collaborations so feel free to contact him with any inquiries. "Adam has all of the best qualities in a designer, imagination and creativity balanced with a tremendous work ethic and enthusiasm." Full PDF resume is available HERE. 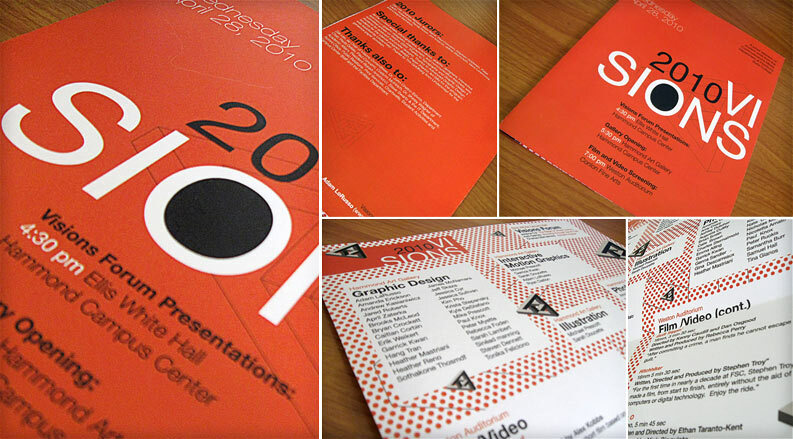 Posters, business cards, brochures... If you can print it on a piece of paper, we can design it for you. And design it well. Watercolors to pen and ink. Portraits to abstract. Let us create custom imagery just for you that will truly grab the attention of your audience. 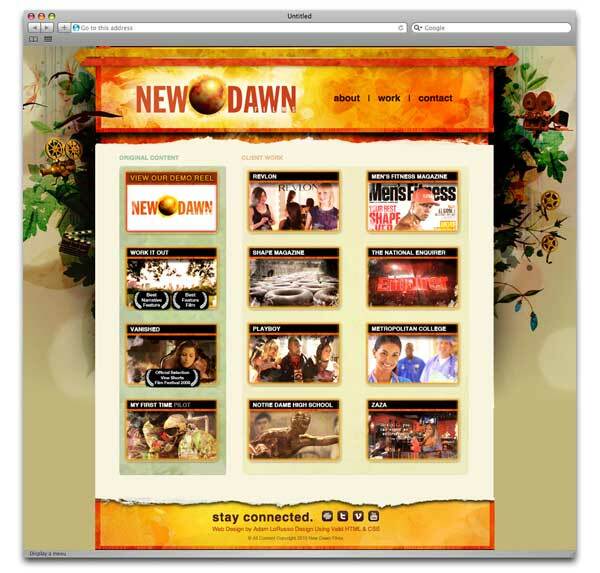 You need a website to make your business legitimate. People use the web for everyting now-a-days; having a presence on the internet is a huge step towards creating a successful business. 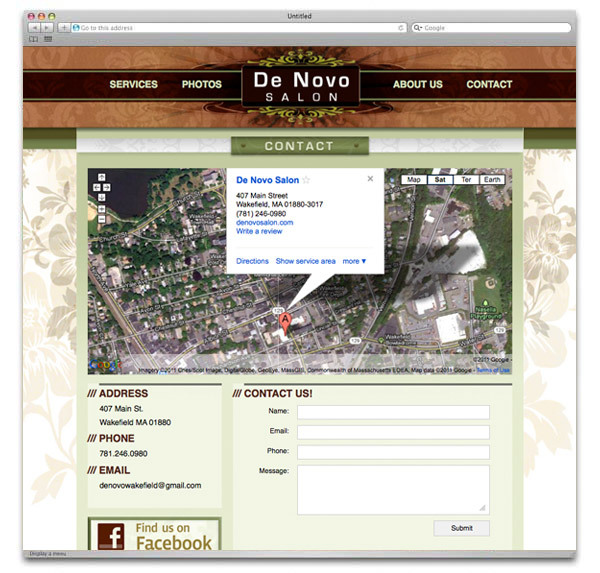 Use real images of your own location and products. Make your audience connect with what you offer; a personal touch to your website or brochure goes a long way. A logo is the cornerstone of your business. We can create something memorable and instantly recognizable. Simple and effective. Let people know who you are. More than just a logo, your brand should extend throughout everything you offer. From fonts, to colors, to packaging, to promotional materials; present yourself as a cohesive package that is already successful and grounded.